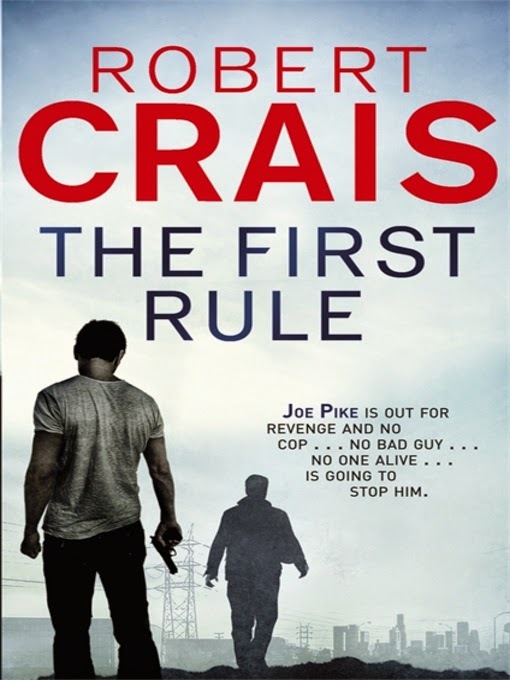 Los Angeles-based Robert Crais had a successful stint as a screenwriter for cop shows like Cagney & Lacey, Miami Vice and Hill Street Blues before he turned his attention to penning crime novels – and found even greater creative success. His award-winning series starring wise-cracking private eye Elvis Cole and his tight-lipped ex-Special Forces buddy Joe Pike is massively popular all over the world, and one of Crais's standalone thrillers, HOSTAGE, was made into a movie starring Bruce Willis. THE FIRST RULE is the thirteenth Cole/Pike novel, but the second to feature Cole's enigmatic 'sidekick' Pike as the lead. When businessman Frank Meyer and his family are gunned down in their suburban home, Pike is drawn into the tragedy; he and Meyer had once been mercenaries together, long ago. But while the LAPD are convinced Meyer was dirty, like the other victims in a recent series of violent home invasions, Pike is determined to clear his friend's name and find the truth. Even when it emerges that the Meyer's nanny had connections with the ultra-brutal Eastern European mafia, jacking up both the stakes and the danger, the hard-nosed Pike is undeterred. Meyer's killers don't know it, but they've started a war; and unfortunately for anyone who gets in his way, war is just where Pike feels most comfortable. Crais weaves an engrossing story that hurtles around Los Angeles, while giving readers further insight into Pike, the 'strong-but-silent' man of ever-present sunglasses and forward-facing red arrows tattooed on his shoulders. Cole becomes involved in the Meyer case as well, although this time he's wearing the sidekick mantle. In amongst the mayhem and excitement, THE FIRST RULE also touches on themes and questions of friendship, loyalty, and justice – although it still leans a little more toward out-and-out action thriller than Crais's Cole-centric crime novels.